And the most influential Pilgrim is..? Which Boston United squad players have registered the most points per game this season? Who has been Boston United's biggest points per game earner? 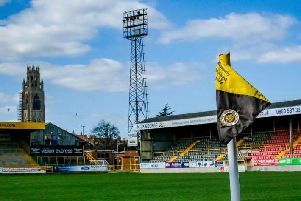 Which Boston United players have been the most influential for the Pilgrims so far this National League North campaign? Keen to find out the answer, we worked out the amount of points per games picked up by all of the squad members who have started 10 or more league contests this season. Dividing the number of points accrued in games they kicked off in by the amount of starts made we have compiled a table. The team average is 1.41 points per game (ppg) so far, with Craig Elliott’s side earning 44 points from 31 games, currently short of the two points per game target he set his squad in the summer. To date, 12 players have made 10 or more league starts, with Jay Rollins currently on nine.